These keto meatballs have quickly become a staple in our house. It’s a great idea to cook up a batch on the weekend and store some in the freezer for a quick mid week meal. These have been a big hit with our non keto family and friends and are often a go to when we have family staying with us. Keto meatballs are also a big hit with kids, so these are a real crowd pleaser. These keto meatballs are our go to when we have family staying with us and we need to provide dinner. We had Dan’s Mum stay with us and it can be tough to cater for her taste buds. We knew these meatballs would be a winner. Not only were they a winner, but she asked us for the recipe and she has made them at home a couple of times. The first time she made them with pasta and said that our version with the zoodles was better and has since made them with the zoodles. Sometimes just introducing people to different alternatives gets them thinking about not always having the carbs with every meal. This recipe uses pesto in the meatballs. You can use a store bought option if you are short on time. We like to make our Keto Basil Pesto to use in the meatballs as it is super delicious and we can be assured of the ingredients and avoid the oils we don’t want. Serve over zoodles or konjac noodles. Sometimes you still want that traditional spaghetti and meatballs feeling. Using zoodles or konjac noodles will still give you all the feeling of spaghetti without all those carbs. Serve with spinach leaves or broccoli. We will often just add some spinach leaves into the sauce a few minutes before we serve it. It’s quick and easy and a good way to make Dan eat her veggies. 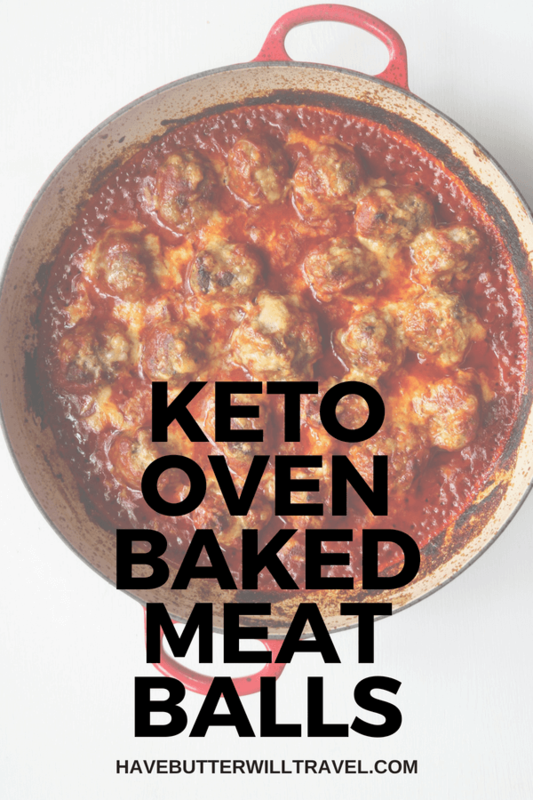 Make a keto meatball sandwich with low carb bread. One of Dan’s favourite food memories is a meatball sub she had in Portland. Since then we have made our own keto friendly meatball sandwiches using Hermon Brot bread and these meatballs. 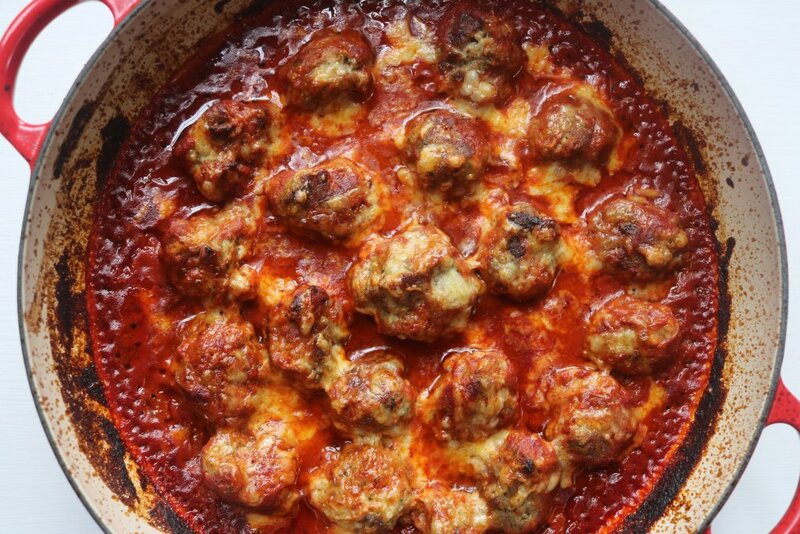 Another delicious way to have these meatballs is to bake some eggs in the sauce and you then have a a filling breakfast. 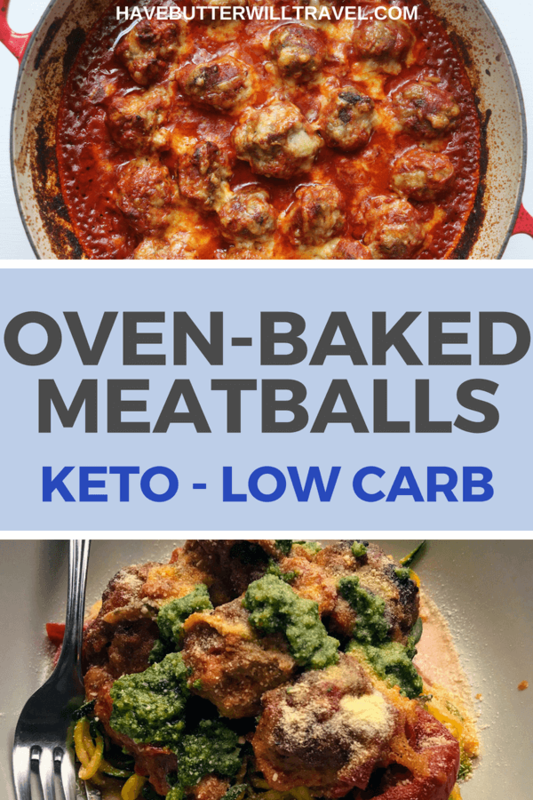 Do you love keto meatballs as much as we do? Definitely try these and tag @havebutterwilltravel on Instagram to show us your deliciousness! 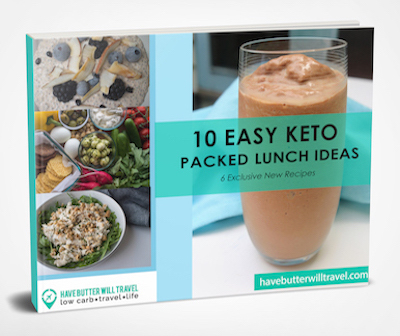 Check out our other delicious keto meals. These keto meatballs have quickly become a staple in our house. These are a big hit with all of the family, kids and non keto family and friends. Replace the almond meal for pork rinds if you are unable to tolerate Almonds or if you would like reduce the carbs more. Made this tonight…. YUM!! Whole family loved it! So good right? It’s one of those dishes that pleases everyone, even non keto people. My family love Oven baked Meatballs, they line up for Seconds! Thanks Cheryl – that is great to hear! Can I ask what brand of passata can u use in Australia that is low carb for this recipe. 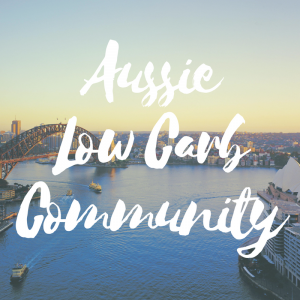 We just look at the labels in store and buy the one with the lowest carbs per 100g. I’m not sure which brand it is but they do vary. 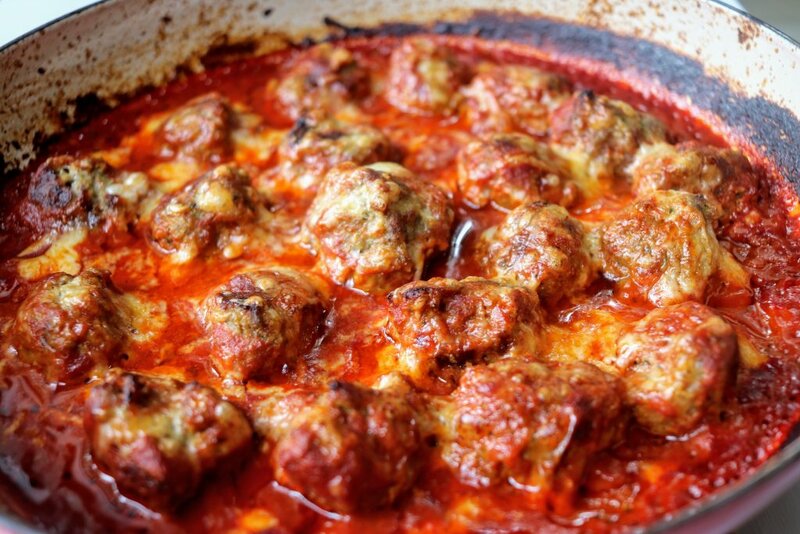 The BEST meatball recipe ever! The sauce is also phenomenal. 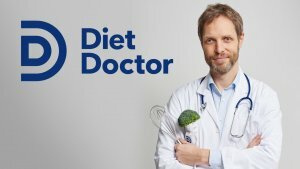 Can be used in both keto an non keto dishes. Making a double batch now to have on hand for me (keto) and my daughter for spaghetti and meatballs. Wow Kelli. Thanks for the praise. I have to agree. I love these meatballs and we love to have a batch of them in the freezer. 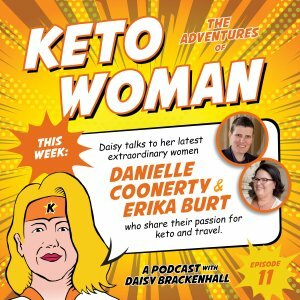 Our favourite recipes are the ones that non keto people enjoy as much as we do. This is a go to when we have family visiting.